This little tool helps quicken smaller tasks like sequence parenting, matching position, renaming etc. This little tool I wrote could help quicken some processes. - Where is the Sequence Pareting useful? It basically parents the 1st object to the 2nd object, the 2nd object to the 3rd and so on and so forth. 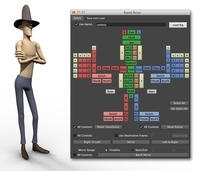 - Where is the Match Transforms / Position Tool useful? - Open the script editor. 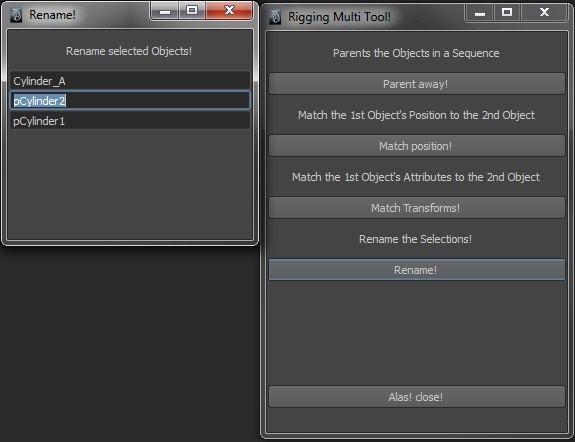 - Navigate to the script folder and select RiggingMultiToolv1. 4) Run it from there. 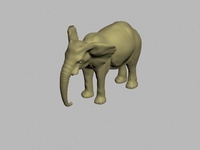 1) When using the Parent tool, an error message will appear saying: "No object matches name: ". This does not affect the parenting process and it will work like it should. An error message pops up, saying "Error: "$windowParent" is an undeclared variable.". You may have to re-run the script, it should work then. I will eventually try to implement more sub-tools in the future, if their functions prove useful. Feel free to comment or report a bug / problem. If you enjoy this MEL Script, please rate it. I would appreciate it. Thank you! 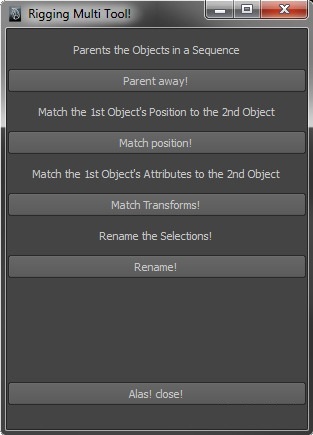 -Fixed an issue, where the Match Position and Match Transforms Tool would give an error: "Select Only 2 Objects", although only 2 objects were selected.